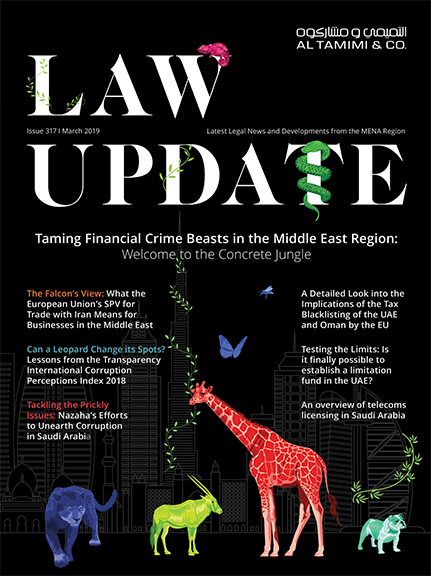 The purpose of this article is to shed light on the rights of landlords and tenants with regard to rent increases upon renewal or expiry, so that the parties are aware of applicable rent caps and permitted increases under Qatari law. Law No. 4 of 2006 (”2006 Lease Law”) which has since been repealed, capped the rental increase in any renewed lease to 10% of the rental amount. The 10% increase cap applied to all types of leases, whether residential or commercial, and whether commencing before or after the 2006 Lease Law came into effect. Law No. 4 of 2008 and its amendments (”Lease Law”) applies to all lease contracts in Qatar excluding State private and public properties; agricultural land; undeveloped land; industrial services land; hotels and tourist apartments and units; and residential units allocated by the State or other companies for their employees. Article 10 of the Lease Law does not permit landlords to increase the rent in respect of leases existing prior to or after the enactment of the Lease Law, except in accordance with the rules, terms and rates to be issued by the Council of Ministers. The first Council of Ministers’ decision in this regard was issued in 2008. This decision prevented landlords from increasing rent for leases entered into on or after 1 January 2005, except after two years from the date the Lease Law became effective, unless the parties had agreed otherwise. The same decision set out the rent increase limits permitted for leases entered into before 1 January 2005. Under this decision, the two-year period and the rent cap applied equally with regard to residential and commercial leases. 5% annual increase if the monthly rent is more than QR 10,000. Such increase becomes effective from the date it is notified to the tenant. The 2010 Decision also prohibited rental increases for commercial leases entered into from 1 January 2005 onwards, except after a year from the date of the 2010 Decision, unless the lease provides otherwise. The 2010 Decision became effective on 15 February 2010. By virtue of a subsequent Council of Ministers’ decision, the one-year period provided for under the 2010 Decision was extended for another year until 15 February 2012. As such, landlords were not permitted to increase rent upon renewal until 15 February 2012, unless the lease provides otherwise. There were, however, no further decisions issued in this regard leaving any rent increase upon renewal or expiry in commercial leases subject to negotiation between the parties (unless the lease provides for certain increases). Notwithstanding the above, Article 27 of the 2008 Lease Law offered an exceptional measure of protection for commercial tenants (this protection was initially given to tenants under Article 3 of the 2006 Lease Law) by preventing landlords from evicting tenants with expired lease terms for a one-year period commencing on 15 February 2010 (eviction can only be done on specific grounds set out under Article 19 of the said law). The same Article conferred authority upon the Council of Ministers to extend the relevant period thereafter, should it see fit. Accordingly, by virtue of Decisions 22 of 2011, 8 of 2012, and, recently, 15 of 2014, the Council of Ministers extended the protective periods until 15 February 2012, 15 February 2014 and 15 February 2015 respectively. The said decisions excluded commercial companies’ headquarters, engineering, lawyers and accountant offices, veterinary clinics and offices of agricultural, fish and animal welfare experts from such extensions. These tenants can, therefore, be evicted upon the expiry of the lease term. The provisions relating to the protective periods offered to commercial tenants at the end of the lease term have been confirmed in various Court of Cassation judgments as being related to public order and therefore of mandatory application. The Council of Ministers’ decisions, which provided commercial tenants with extension rights by force of law until 15 February 2015 reflected the Qatari Government’s strategy and intention to control rent with regard to commercial properties. Regardless of the fact that some provisions of the law may be of mandatory application and make contradictory contractual provisions unenforceable (i.e. Article 27 of the 2008 Lease Law), parties are always encouraged to ensure that any clause on rent increase upon renewal or expiry is drafted clearly and precisely, with perhaps fixed annual increase, so that the law will not interfere with such increases, where applicable.